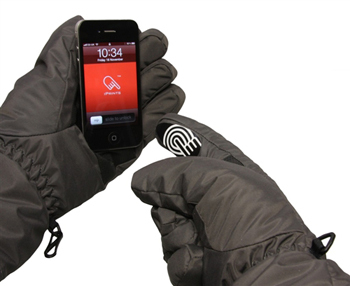 There are all kinds of different gloves on the market at the moment that are specially designed to work with your smart phone, check out our three favourite touchscreen gloves list from earlier in the month. However, if you don’t want to buy a pair of brand new gloves and would rather use the ones you already have, then iPrints may be the answer. iPrints can fit onto any existing pair of gloves (and can be easily removed without leaving any stickiness) allowing you to use capacitive touchscreens just as easily as if you were using your fingertips. Magic! We kind of wish they came in a few different colours, because although the design may look good with a monochrome pair of gloves, anything brighter or more candy-coloured could look a little silly. Available from iPrints for £6.